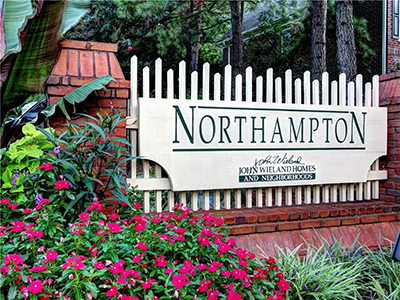 Northampton Community Association, Inc. is dedicated to ensuring the beauty, safety, and stability of the area, promoting neighborliness and pride among the residents, and forming a base for representation in matters affecting the community. Set on rolling, forested terrain in a most convenient East Cobb area of Atlanta, this John Wieland neighborhood is a vision of the home towns of yesterday. You'll find winding, tree-lined cul-de-sacs with sidewalks and The Village Center with open village green, swimming, tennis, and Town Hall Clubhouse. With distinctive neighborhoods in a wide range of prices, you'll be sure to find the home that fits your family perfectly. This web site provide services to residents of Northampton Community Association, Inc. in prestigious Marietta, Georgia. If you need more information or have an issue to bring to our attention, please follow the links for our Board Members or other appropriate contacts contained herein.